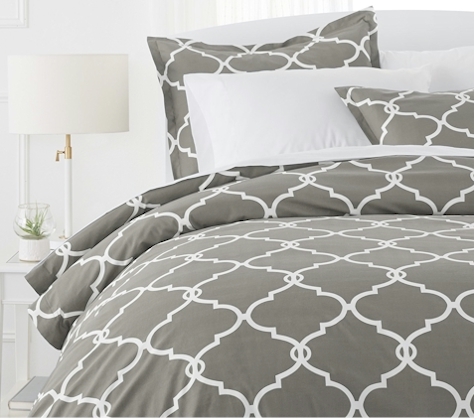 Amazon has got this Pinzon 300-Thread-Count 100% Cotton Percale, King-size, Platinum Duvet Cover Set for only $14.13 with free Prime/SuperSaver shipping. Percale is known for its crisp hand feel, and matte finish. More durable than sateen, it starts off a little stiff, but continues to softens after each wash. The 300 thread count weave is breatheable and cool to the touch, making it ideal for warm climates or summer months.